With the iPad officially released, the question being asked of it by a good portion of the media, tech and otherwise: "Is the iPad a game-changer?" To change the paradigm in a given industry, a company must demonstrate right from the start a strong value-proposition for the consumer. A would-be game-changing product requires a critical mass of consumer adoption to remain viable enough to become ubiquitous. To illustrate this point, we can look to rising companies involved in streaming media and gaming experiences. NetFlix has been and will continue to be a game-changing company. Their initial business model, mailing physical DVD's for rental to subscribers for a set monthly fee, was game-changing enough to send Blockbuster stock significantly down. But the business decision made by NetFlix that I find most compelling is in their moves to support as many consumer devices as possible for streaming DVD content. They started with browser-based streaming so any modern PC can serve as a client. Most recently, NetFlix completed the gaming console hat-trick, adding the Wii to the XBox and PlayStation 3 so subscribers can stream content to any of the three. NetFlix support is built-in to a number of devices, including television sets, the TiVo DVR, home theater systems, and Blu-Ray players. Most importantly, from the consumer's point of view, no additional fees are required for this ability to stream anywhere. NetFlix started with a strong value-proposition for consumers: an inexpensive monthly subscription fee (which pays for itself by the second or third DVD rented during the month), with no late fees and a convenient mechanism for returning discs (the mailbox). They added streaming-to-PC's and to numerous other devices for no additional cost. This is clear added-value for customers. NetFlix was and is a game-changer for video rentals. Streaming video game experiences has the potential to be just as game-changing for its industry. Companies like OTOY, GaiKai, and OnLive are proving that the technology hurdles can be overcome. The question remains the value-proposition for the consumer, and on this front, the evidence is unclear. 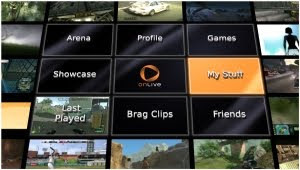 OnLive has the most information about their intended consumer model out there, which includes a $14.95 monthly subscription fee. But unlike NetFlix, the OnLive subscription fee does not open the full media library to its members. Subscribers must still purchase games, and from what has been stated thus far, publishers intend to charge prices that are comparable with versions of the games on PCs or gaming consoles. From a consumer perspective, this is not enough of a value-proposition to be game-changing. If OnLive (or others) ultimately do not succeed, it will not be because of a lack of technical innovation, but rather because they could not prove enough of a value-proposition to reach that critical mass of consumer adoption. Put another way: the streaming gaming company that does provide a strong value-proposition for consumers will succeed. Based on prices, one might argue that Apple's value-proposition has been weak with just about all of their products. Apple computers are consistently more expensive than their PC counterparts. Apple's iPod is a more expensive MP3 player than their competitors'. The iPhone is a more expensive cell phone. To be an Apple consumer implies a willingness to pay a premium. Where Apple historically has succeeded in offering a strong value-proposition to consumers is in how well their products work, how easy they are to use, and how comfortable they feel. It is generally a pleasure to use Apple consumer products, and while that may sound a little too touchy-feely, having enjoyable experiences using technology counts for a lot when it is a part of daily life. Apple's success here is not an accident - it has paid close attention to the user experience throughout its history and this manifests itself consistently in its products' designs and interfaces. So with the iPad, does Apple have a game-changer? Aside from communication, the rise of handheld computing (cell phones and such) over the past decade or so has been all about consumption over creation. You read your email, browse the web, get maps and directions, consume media, and play games from your handheld devices. You don't use a cell phone to write books or compose complex spreadsheets. Sure, you might take a picture with your cell phone camera (that is an act of creation) but you're likely going to transfer that image to a "real" computer to edit or digitally enhance the photo. Apple's proposition with the iPad - and it is really very simple - is that size matters. Consumption computers have traditionally been pocket-sized rather than laptop-sized, which is great when you are on-the-go, but not so much for when you collapse at home on the sofa and want to read the newspaper, or a book, or browse some blogs, or watch a streamed video. A well-designed personal consumption device may very well have a place here. As the iPod and iPhone were before it, the iPad is a recognition by Apple that consumption computers will be continue to evolve as a ubiquitous part of daily life. 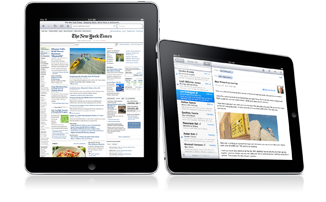 As a device for creation, the iPad poses no threat to laptops or desktops. But as a device for consumption - particularly at home - the iPad has the potential to be a game-changer. I continue to find written communication to be challenging (evidenced by the fact that I've started about a dozen blog posts in the past three months, without finishing any!) I have good thoughts, but writing them well is its own skill. Struggling with this, I respect those for whom good writing comes naturally that much more. 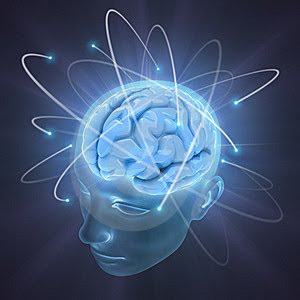 So when I read that there are some Intel researchers predicting that by 2020 we will have brain implant chips capable of controlling computers through thoughts, I thought: Bring it on, Intel! Maybe we're controlling computers in 2020, maybe by 2050 we have ubiquitous mind-reading machines. I'm not worried that someone someday could read my thoughts - I welcome it. Then I wouldn't have to struggle to put them into words.